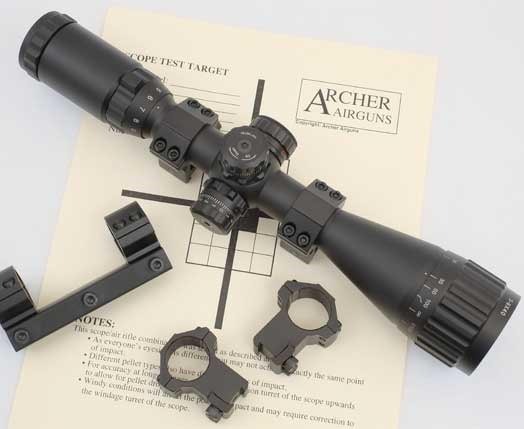 Archer Airguns is your preferred supplier of Chinese airguns, parts, accessories, pellets and traps, scopes and sights. We feature the QB78 Chinese air rifle in several variations as well as QB78 parts, QB79 parts, Crosman 160 parts, and AR2078 parts. We offer accessories to upgrade features on our airguns. Our technical manual is the best in the business and approved by the owner of the Shanghai Airgun Factory. Archer Airguns also offers a full range of services that help provide you with an even more satisfactory shooting experience. 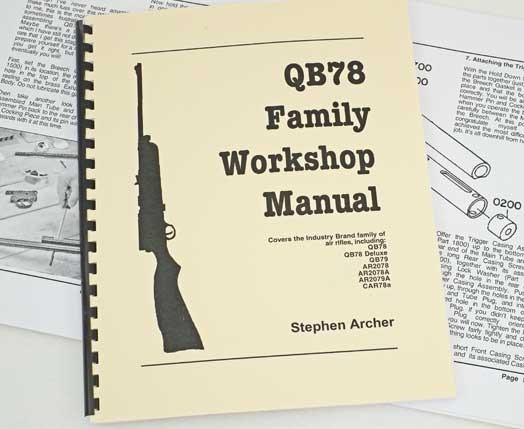 Approved as "The Official QB78 Family Website" by the manufacturer, Shanghai Air Gun Factory, Archer Airguns is the one-stop shop for all your QB78 family airgun needs. 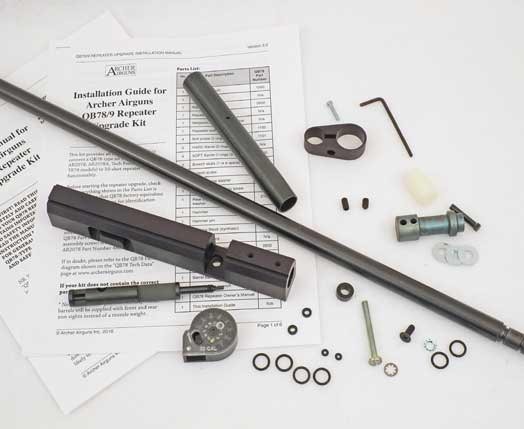 We also carry a large range of spare parts for Benjamin and Crosman airguns, including the Marauder, 1377, 2240 and more. Find a range of scopes from Leapers and Hammers. All are suitable for use on high power air rifles and include mounts. to have the scope mounted on your new air rifle, add our Scope Mounting and Sighting Service. Convert any QB78 or QB79 air rifle to a 10-shot repeater using Archer Airguns Repeater Upgrade Kits. Also increases muzzle velocity by 100 FPS! Includes one 10-shot clip, full instructions and all parts. The ultimate book on the QB78 family! 88 pages of data, information, hints and experience on our favorite range of air rifles. Written by Stephen Archer, this book incorporates much of the knowledge he's gained in years of experience with these rifles. Archer Airguns is an Authorized Crosman Repair Center, offering Reseals on Benjamin Marauder, Discovery and Crosman Challenger PCP air rifles. Of course, we also service all QB78-type and Tech Force TF78-type airguns. And it's easy to order a service on line. We offer you safe, secure shopping through our "industrial strength" shopping cart and on-line credit card processing systems. And, unlike some others, we actually stock everything that we sell and have it available for rapid shipment!